Need advice, a confluence of issues. BMW 3-Series (E90 E92) Forum > E90 / E92 / E93 3-series Technical Forums > Mechanical Maintenance: Break-in / Oil & Fluids / Servicing / Warranty > Need advice, a confluence of issues. I own an 06 330xi, it has the dtc light triad and recently I had seen the yellow steering lock error icon once or twice when taking the fob out but it still drives. 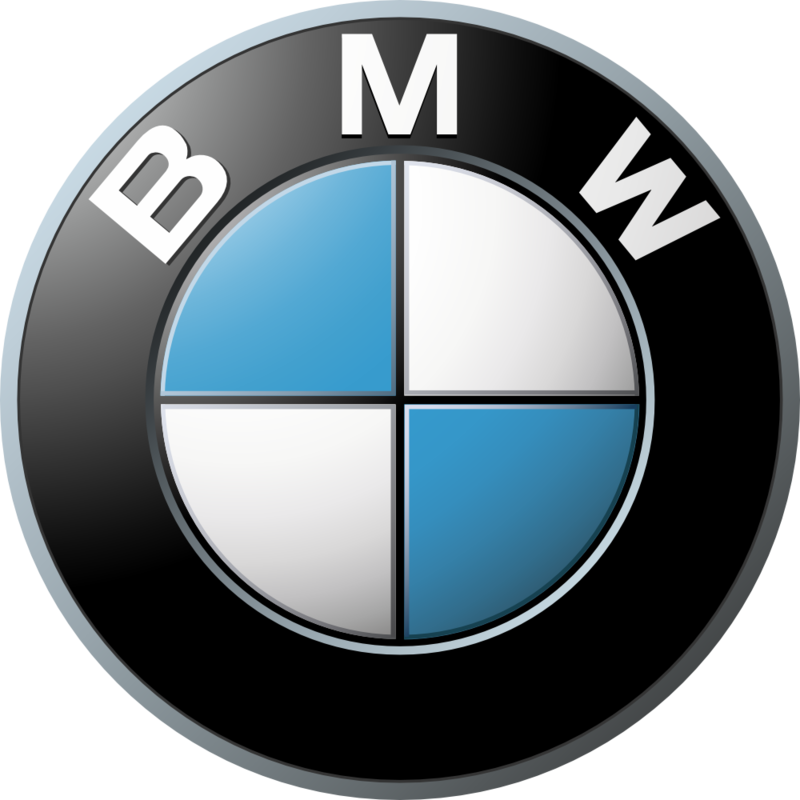 BMW contacts me to perform blower motor wiring recall and steering wheel airbag recall. Great, I think...Ill have them also read my codes and see whats going on with the DTC triad. Drop the car off on Sat, get a call later that day from the SA: "The recalls have been completed but I'm sorry Mr. Infidel we cant get your car to start. Ill have a tech look at it on monday." Get a call monday: "Sorry Mr. Infidel, my tech looked at it and we cant get it started, have you ever seen the yellow steering lock icon?" SA:"My tech tried to fix it but because the ELV and CAS module are linked, we need to replace both." Me: "How much to get the car started again?" SA: "A measly sum of $2,306." I read about it online and asked the SA if they had tried to reset the ELV counter etc he said yes. I dont have that kind of money, not even close... so I had the car towed back to my house. Back at my house I read feverishly and ended up clearing error memory on the cas with INPA and the ELV counter using tool32, magically my car starts. Thanks for making me get it towed 'professional' bmw techs. As soon as I start driving the Airbag and seat-belt warning lamps turn on (I've never seen those on before) and the dtc triad also pops back up. Ive been diagnosing to the best of my ability and what I found is since they performed the recall my Steering angle sensor is not giving a signal, nor are my front left and right wheel speed sensors... are these related in some way? The steering angle shows up in inpa as like !1403 or something like that and doesnt change at all when I turn the wheel, the turn signals stay on and dont auto stop anymore. Also I get no reading from the right or left front wheel speed sensors in INPA. Is this what is causing my airbag and seatbelt lights on and is it something they could be responsible for, or did this all fail coincidentally?? Back to the main issue of the ELV. I have read a LOT of stuff about the ELV in these cars and there are many reported fixes. 2. remove and grease the ELV. 3. Battery issues, replace and clear counter and codes. 4. Purchase and install an ELV emulator that tricks the CAS to believe the ELV is working fine once you clear the counter and codes. My ELV seems to be nonfunctional and is stuck in the UNlocked position. I dont know if the dealership tried to update my CAS. I went ahead and bought the ELV emulator because I dont care if the ELV ever works again, as long as i get rid of the codes and it stays in the unlocked position. The emulator was not difficult to install. OK looks this will be ok despite the price quoted and pain endured at the dealer. Once I clear the ELV counter and the error memory on the CAS, when I insert the key fob for the first time I see the emulator led blink indicating the cas has accessed it. when I remove the key however, I get no blink and the yellow lock error again graces my dash. I dont understand why this is happening, why is the emulator not working except right after clearing the cas and elv counter and how is the car still throwing this stupid code? Did the dealer try to update my CAS to a version this emulator doesnt work with? Is this why they want me to replace my CAS at the dealer?? The CAS seems fine otherwise. Really struggling here on both these issues, I'm reaching the end of my rope both emotionally and skill wise. 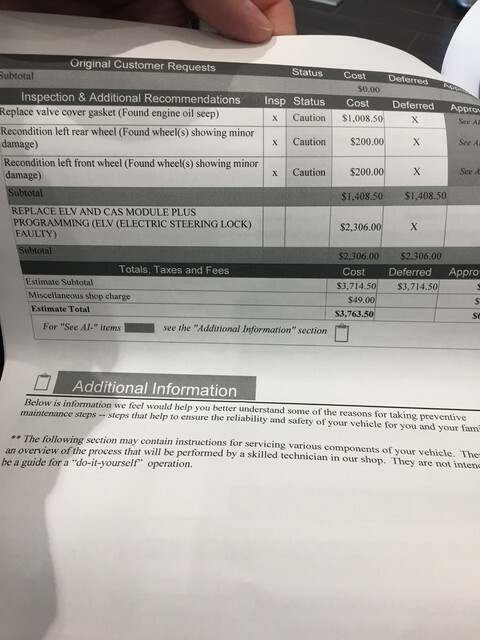 Should I contact the dealership and complain/ask for help? I don't want to pay them, Im frustrated with them for "breaking" my working car. I know its not all their fault but aren't they somewhat responsible? Any advice on the seatbelt and airbag lights or the ELV emulator issue would be greatly appreciated. I can see why your head is spinning, holy mackerel. Has your car had start-up issues in the past? This might be way above my BMW knowledge pay-grade but I'll give the post a good read-over later tonight and try to supply what help I can offer. At the end of the day, you left you (relatively) working car in custody with a dealership, you get in back and it's not working. Then they have the gall to ask $2,000+ from you. THEN you clear some codes which the boneheads couldn't figure out and it starts up. I would never want to assume anything shady, but at the very least some sort of negligence. I wouldn't play nice with them and ask for more assistance then just giving you an astronomical number and shrugging. I'd call the dealer and tell them that they've screwed up your column somehow. "My tech tried to fix it"
because all of that sounds like they were in the column mucking about to try and get it to start before they called you, and they've broken something in there. this is a great thread that shows the SAS and the guts of the column. Thanks, Ive read over as many as I could. I received a new emulator today, still no dice the yellow error comes back on as soon as I remove the key fob despite clearing the ELV counter, cas reset, fault error clear. You should have refused the car until the dealer repaired it to the condition you brought it in. They removed the steering wheel air bag, and the car would not start because the steering lock. The dealer tech fucked something up. When they asked you if you ever got the ELV warning and you said yes, then that let them off the hook. They already knew the answer because the fault codes were stored in the computer module. Next time say nope, never happened before. Go back to the dealer, get the Manager, and tell him to fix your car free of charge. If you drove the car in, and had to have it towed back, they did something wrong. that was unauthorized work. In that work they have somehow made your issue go from an intermittent problem, to a car doesn't work problem. That's the avenue you pursue. Dd they ask for your permission to do anything other than recall work on the vehicle? If no, then push the issue. They had no prior permission to do anything else outside the scope of what BMW NA told them to do. anything that happened as a result of unauthorized work on the car is their responsibility. This may be worth a phone call to the BMW regional rep, especially as BMW NA was paying them for the recall work. I wrote them a letter, lets see what happens.